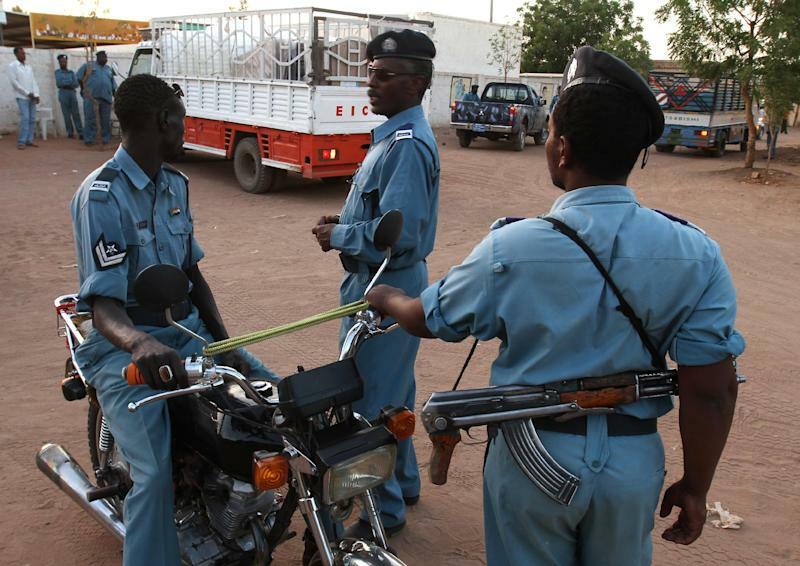 Khartoum (AFP) - Two Sudanese men have died after being detained and flogged 40 times each, a rights group said on Friday. The cases are the latest to highlight the country's laws governing morality that took effect after the 1989 Islamist-backed coup by President Omar al-Bashir. Hussein Hadab, 45, and Khamis Koko, 60, were convicted separately on August 3 and 4 after being detained for drinking alcohol and causing a public nuisance, the African Centre for Justice and Peace Studies (ACJPS) said in a statement. Each was sentenced in the coastal city of Port Sudan to 40 lashes, penalties that were immediately carried out, the group said. Hadab, who had been detained for three days, collapsed and died after going to a police station to collect his belongings following the whipping, it said. Koko, initially jailed for one day, was ordered to serve two months more after his flogging, ACJPS said, but the prison refused to admit him "due to his poor health". He was sent to hospital where he died on August 5. "Doctors that performed post-mortems on both men indicated that the cause of death was a sudden drop in circulation," ACJPS said, calling for an investigation into what happened. Conditions of their detention, as well as the flogging, may have contributed to the deaths, the group said. Activists say Sudanese women are regularly lashed under other Public Order provisions which prohibit "indecent" clothing. In May, a Sudanese court convicted a pregnant Christian woman, Meriam Yahia Ibrahim Ishag, of apostasy from Islam and sentenced her to hang, according to Islamic sharia law. An appeals court later overturned the ruling after her case drew worldwide attention. She later left Sudan for the United States.